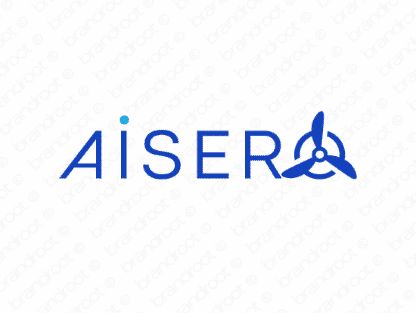 Brand aisero is for sale on Brandroot.com! This elevated sounding invention is reminiscent of words like "aeronautics" or "air". Aisero offers soaring potential for a variety of businesses, ideal for green technologies and sustainable products, transportation services or travel agencies. You will have full ownership and rights to Aisero.com. One of our professional Brandroot representatives will contact you and walk you through the entire transfer process.